Step 1. LOOK at the art. It sounds like you're doing this, that's great! The artist probably spent 2–10 hours on that one page, I'm sure they'd like it if people did more than glance at it. You might find it useful if you pay attention to these things in particular: shapes, how lighting works (the shadows, shading, and highlights), line width, composition and layout, foreground/background and perspective, anatomy and proportions (which can be unrealistic and still look good), textures and effects. Take a look at through the Escher Girls tumblr if you want to see what inaccurate anatomy can do to otherwise skilled artwork. Step 2. Learn about what goes into artwork. 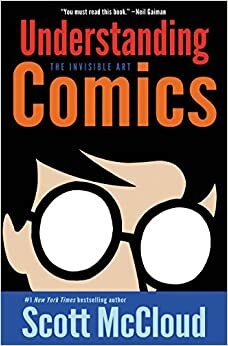 For comics, manga, and other sequential art in particular, I HIGHLY recommend reading Scott McCloud's *Understanding Comics *. It is not a how-to-draw book. It's also well worth your time, and odds are good you can find it at your local library if you live in an native English-speaking country. The sequel, Making Comics , is also really good. Step 3. Keep looking at the art for multiple series, over time eventually you'll start to notice what works and what doesn't, when rules are broken to good effect and when they really should've listened. Scott McCloud's Understanding Comics would be a good start. >A comic book about comic books. McCloud, in an incredibly accessible style, explains the details of how comics work: how they're composed, read and understood. More than just a book about comics, this gets to the heart of how we deal with visual languages in general. "The potential of comics is limitless and exciting!" writes McCloud. This should be required reading for every school teacher. Pulitzer Prize-winner says, "The most intelligent comics I've seen in a long time." Understanding Comics by Scott McCloud is pretty great.